Tejas guides Continuity Logic with his experience as a founder and leader in the Business Continuity Industry. 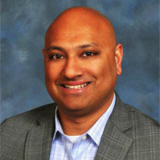 Tejas has previously been the Chief Executive Officer and Chief Technologist for RecoveryPlanner, where he introduced a cloud-based business continuity management solution that integrated crisis management and business continuity. Tejas founded RomBHUS Inc., which was acquired in 2000 by Westhill Partners, launching Westhill Technologies. As President of Westhill Technologies, Tejas developed the C|3 Platform, a collaborative system for managing online business communities. Tejas holds a BS in Computer and Information Science from the New Jersey Institute of Technology. Check out the incredible speaker line-up to see who will be joining Tejas.